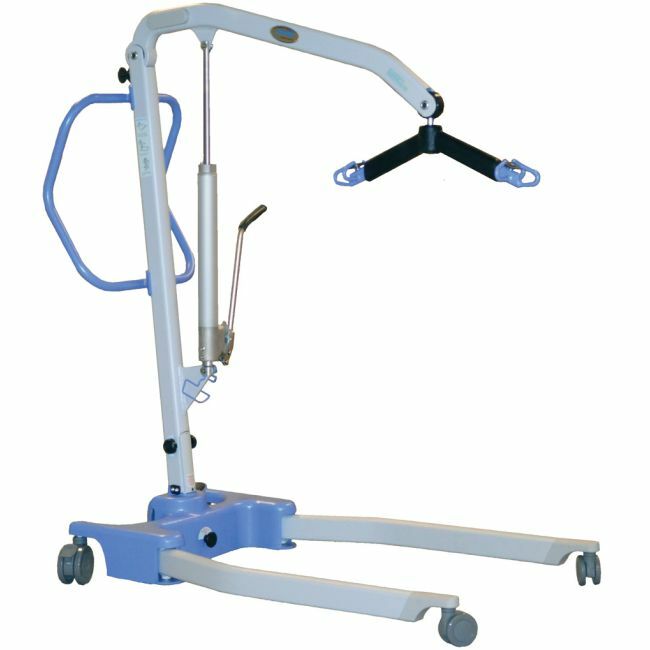 •Lifting Range: 15.4 " to 64.6 "
Overview of the Advance-H Patient Lift The Advance™ Manual Patient Lift from Hoyer represents a true step forward in patient lift design and performance. It uses the very latest design and manufacturing technologies to ensure that the Advance is the most functional and stylish lift in its class today. The legs on the Advance Hoyer Lift are adjustable for width and can enable access around armchairs and wheelchairs with ease. 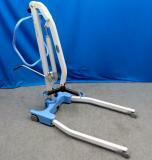 The leg adjuster pedal located at the rear of the base is compressed DOWN to open the legs upward and UP to close the legs and can be carried out while carrying the patient if the lift is moving. 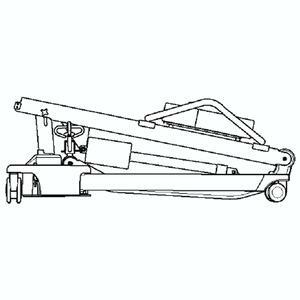 The hydraulic lift can be rotated from either side of the lift. When lowering the boom, the release valve is progressive. In other words, the more it is opened, the faster the descent. But the valve is nicely restricted, so even when entirely opened, the descent is controlled. When the valve is only somewhat open ( a quarter turn), a very slow speed of descent is provided, allowing a "hands-free" option for the caregivers so they may assist or comfort the patient. Internal Base Width - Open: 43.70"
Internal Base Width - Closed: 21.70"
Lifting Range: 15.4" to 64.6"